Newcastle United Plotting A Transfer For Wing Wizard: Should Benitez Sign Him? According to Shields Gazette, Newcastle United have entered the race to sign Yacine Brahimi in the January transfer window. The FC Porto superstar failed to agree a contract extension with the club and a January move could be on the horizon. Brahimi has impressed in the Liga NOS, since joining Porto back in 2014, scoring 44 goals with the club. But, with his contract expiring at the end of the season, Porto will be more than happy to sell him on a fee in January. Brahimi is primarily known for his clever and dynamic movement in the final third, which allow him to stretch defences. His quick-feet and pace also help him dribble past defenders at ease as he maintains an average of nearly five dribbles per game – more than anyone else in the Porto squad this season. Brahimi is also strong, thanks to his bulky figure, which gives him an edge over opposing defenders, especially in one-on-one situations. However, what makes him such a valuable target is the fact that Brahimi is a versatile attacker who can play anywhere across the final third. While he may not be a world-class playmaker, averaging under one key pass per game, Brahimi is certainly a player who can add more spark to the Newcastle attack. On the flip side, Brahimi has attempted 20 shots on goal this season but has managed to score just twice this season. So it’s safe to say that his shooting accuracy isn’t the best. 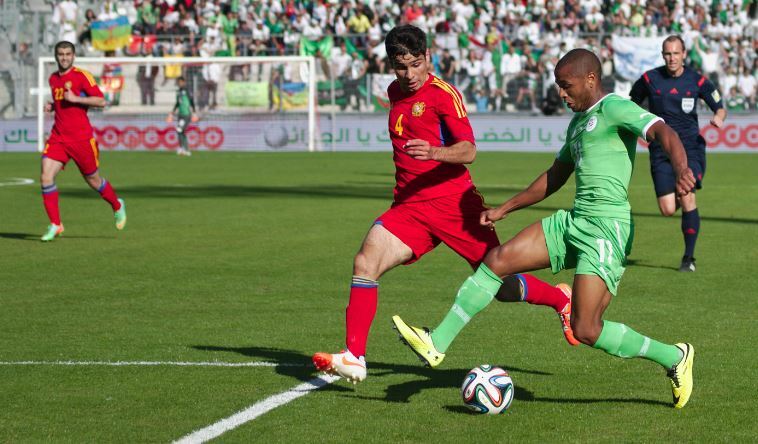 Should Newcastle sign Yacine Brahimi? Brahimi certainly has his own share of problems and weaknesses in regards to his overall gameplay. But, considering the current state of the Newcastle squad, he can be an excellent addition as the Magpies severely lack depth in the attacking department. Matt Ritchie and Kenedy have largely been Newcastle’s number one choices for the wide attacking roles with Ayoze Perez operating as the second striker. And thus, Brahimi’s addition could hand Rafa Benitez with an extra option. Furthermore, Brahimi’s pace and dynamism would add urgency and drive to the Newcastle attack that has struggled this season. Manchester United after £51m-rated attacker: Should Mourinho spend so much on him?